Over the last four years, we’ve hand-selected 20 amazing florists to showcase British flowers and floristry in our British Flowers Week photoshoot. This photoshoot is the cornerstone of British Flowers Week and for our fifth year, we want to do things a bit differently. This year we’re launching a competition asking you, the florists, what you would do to showcase not just British flowers, but British floristry, to the world. We're looking for five florists with front page grabbing designs using British – and only British – flowers and foliage to become the hero images of British Flowers Week 2017. Each day we share three new designs from one of our five featured florists across social media, email and the web. If our judges choose you to be one of our famous five, one day of the campaign will be all about you. We'll promote you and your images to the media, and you will receive a portfolio of you and your finished designs to use in marketing your business. 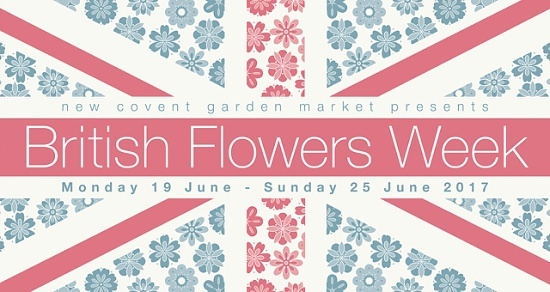 British Flowers Week showcases the very best of British flowers by the very best florists. If you are passionate about British flowers and British floristry, and have an inspired idea then join us and enter our competition. Could you be one of our famous five?